The 1982 film TRON has become something of a cult classic. With special effects that were far ahead of its time and a story that was ripe for a follow-up, it took almost thirty years for the film to receive any sort of continuation. Since the 2010 release of TRON: Legacy, the franchise has grown to include video games, televisions series, and even a few tie-in comics to boot. While the film sequel wasn't as big a hit as it probably should have been, it brought the franchise back into the pop culture forefront. 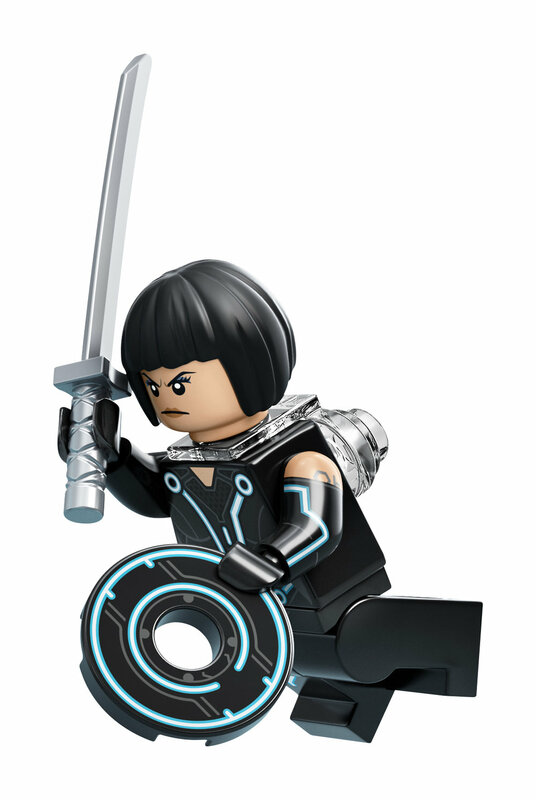 Today, our friends at LEGO have revealed that a brand new set based on TRON: Legacy will be released soon. Now die-hard fans can take part in some sweet light cycle races and duel with identity discs right in their own homes. 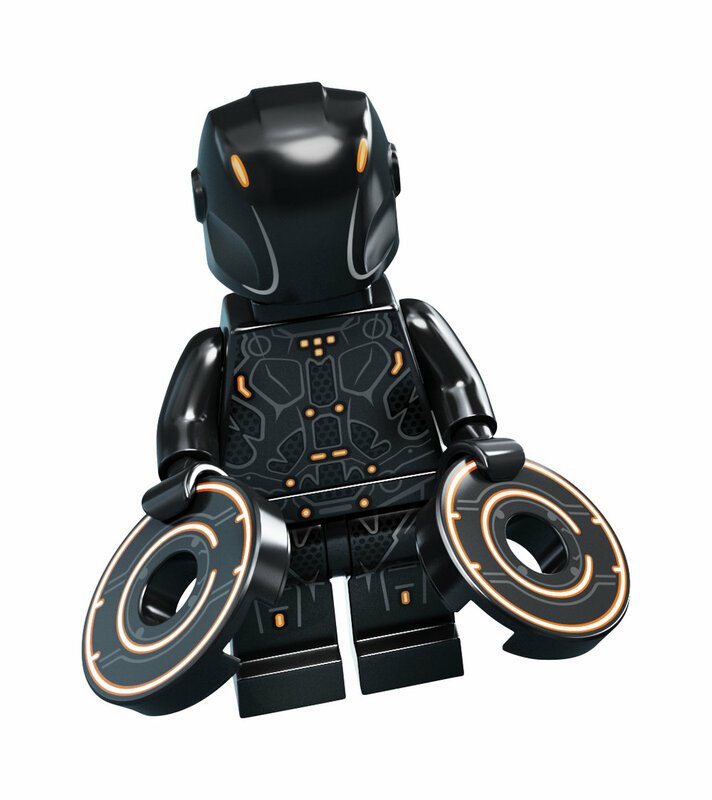 • Includes 3 LEGO® minifigures: Sam Flynn, Quorra and Rinzler. • Features 2 buildable Light Cycles for Sam Flynn and Rinzler, and a TRON grid/display base. 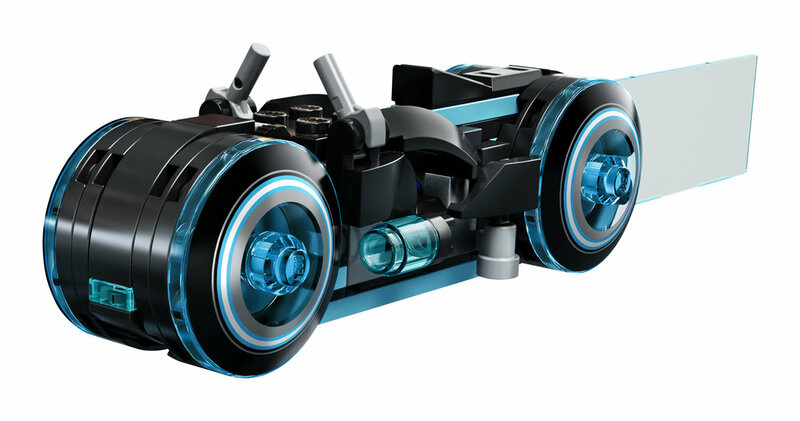 • Sam Flynn’s Light Cycle features a minifigure seat, authentic features and assorted translucent blue light-style elements, including power stream effects. 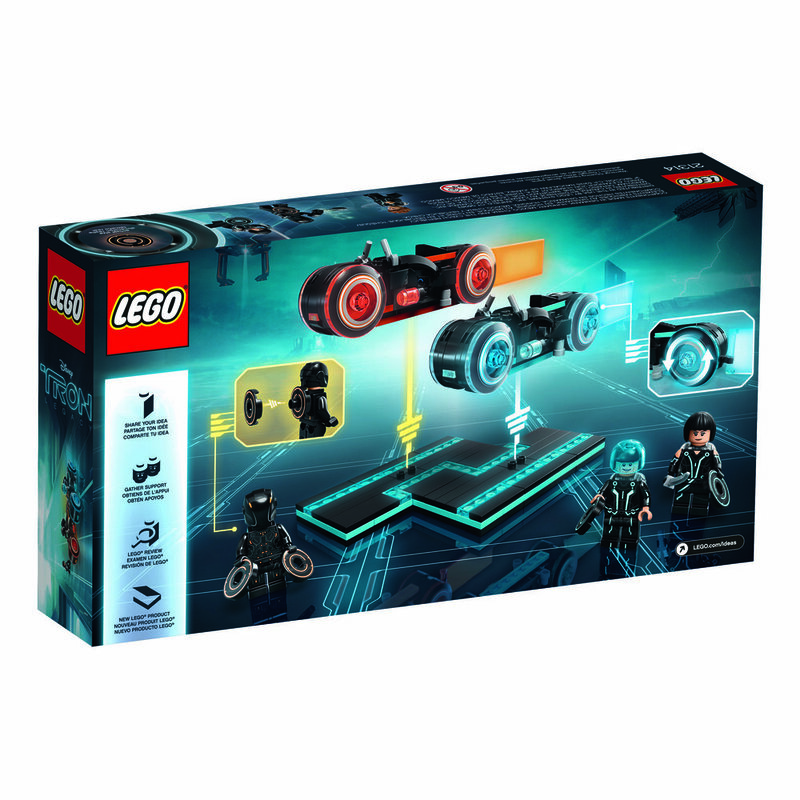 • Rinzler’s Light Cycle features a minifigure seat, authentic features and assorted translucentorange light-style elements, including power stream effects. 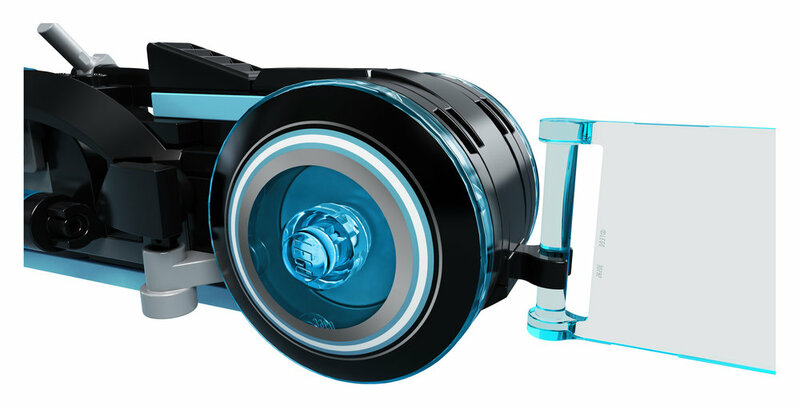 • TRON grid/display base features 2 detachable parts, attachment points for the 2 Light Cycles and translucent-blue elements. • Divide the grid to recreate the Light Cycle chase scene from Disney’s TRON: Legacy movie, or use it to role-play the disc battle scene with the minifigures. • Accessory elements include Sam Flynn and Quorra’s blue Identity Discs, and Rinzler’s 2 orange Identity Discs. • Attach the discs to the back of each minifigure. 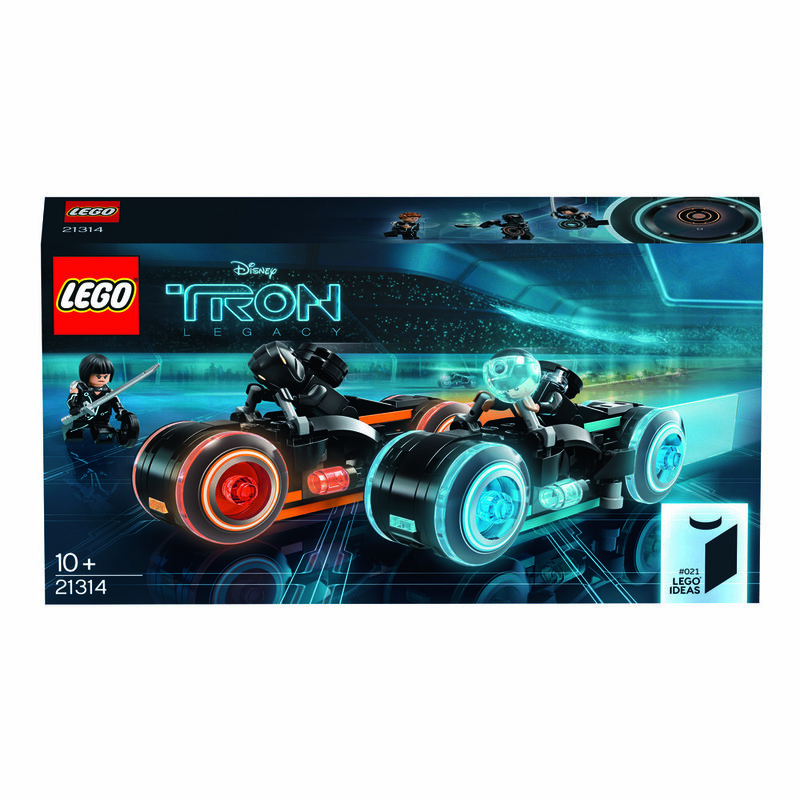 • This construction toy includes a booklet with building instructions, information about the set’s fan creator and LEGO designers, and the lowdown on Disney’s TRON: Legacy movie and its main characters. • Each Light Cycle measures over 1" (5cm) high, 6” (17cm) long and 1” (4cm) wide. • TRON grid/display base measures over 8” (22cm) wide and 3” (9cm) deep. The set, part of LEGO's fan-submitted Ideas line, will be available on March 31.